TALLAHASSEE, Fla. – Millions of Floridians are expected to travel Florida roads over this Thanksgiving holiday. 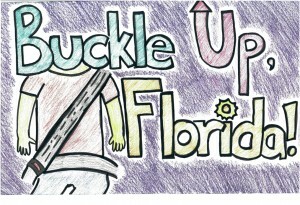 The Florida Department of Highway Safety and Motor Vehicles encourages all drivers to take extra care while driving and buckle up before they hit the road. Through the long holiday weekend, the Florida Highway Patrol (FHP) troopers, along with FHP reserve and auxiliary members, will be patrolling the roads to help ensure safe travel. During the 2014 Thanksgiving holiday period, law enforcement agencies statewide worked 3,988 crashes. Tragically, 43 motorists lost their lives and 10 of those were not wearing seatbelts. This Thanksgiving, and every day of the year, buckle up before you start any road trip, whether it’s around the corner or across the state. FLHSMV reminds drivers to obey the speed limit, and adjust accordingly as traffic congestion and weather conditions may require driving more slowly. Keep your eyes on the road, your hands on the wheel, and your mind on driving. The public is encouraged to report aggressive or impaired drivers by dialing *FHP (*347). Remember to check traffic conditions before you leave for your trip. For more information, real time traffic conditions and additional travel information, visit: www.flhsmv.gov/fhp/traffic.